Photographed at the Laguna Seca Ranch in South Texas November 2, 2018. Nikon D850, Nikon 300mm f/2.8 lens, Nikon 1.4 TC, 1/3200 sec at f/8.0, ISO 200. The prey is a Pocket Gopher. 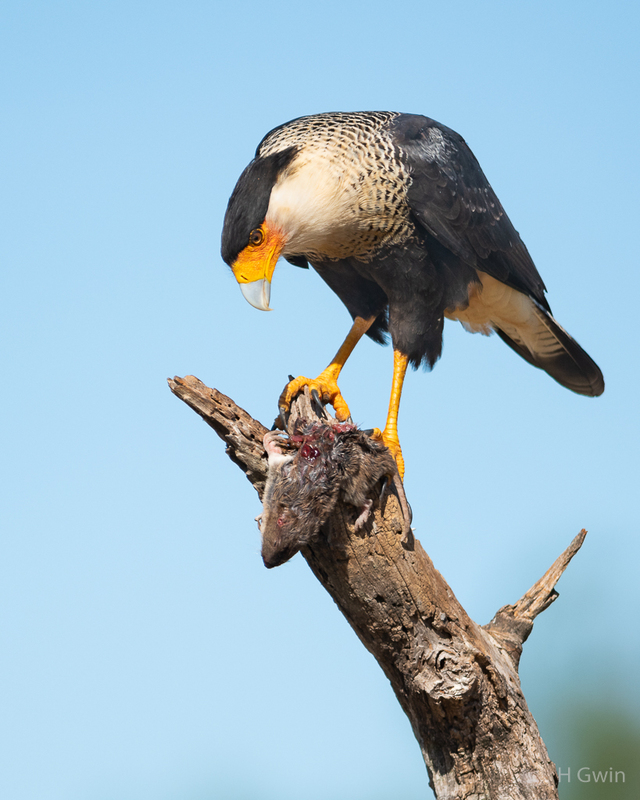 Gene, good portrait of the Caracara with prey! It's a very well-composed image. Cracking shot Gene, lovely detail. That is one nice size meal. Nicely captured Gene!